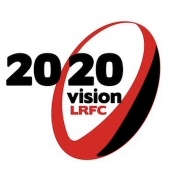 We are committed to keeping our club members informed of progress with our Development Plans. Back in March we introduced a regular ‘bulletin’, which goes out by email to all on Craig’s email list for the Weekly Update. This information is also made available on the club’s website. Introducing Pound Round the Pitch – all members and friends to participate and get sponsored for walking / jogging / running round the Mains Park pitch on Saturday 14 March. Overall Fundraising Target now down to £16,528. Scottish Rugby chose Linlithgow Rugby Club as the location for their launch of the new Club Sustainability Fund. SRU President Ian Rankin hosted the event with Club Services Manager Nick Rennie and Linlithgow’s Ken Richardson sharing the platform at the press launch. With the new indoor training centre now complete, the opportunity was taken to use the facility as a backdrop for the event. Linlithgow Academy 1st XV players showed off the new facilities to the visiting guests, including SRU President Ian Rankin (standing on left). The new Indoor Training Centre will formally start operations from Sunday 16 November 2014. This will follow a period of final checks, trials and testing after the handover of the new facility on time and on budget from the contractor, Stewart Homes. We will be publishing full information on the new facilities and how to book them during the week commencing Monday 10 November. We appreciate your patience in this matter. The General Meeting on 20 August 2013 was a big step forward in our developmental planning. The Meeting gave authority for the Executive to seek Building Control and issue tender forms for the redesigned facility. This milestone means that we are committed in principle to our new training facility – it just needs to be affordable!